Paucartambo is a small village in the Peruvian Andes. It’s a traditional market town, particularly known for selling potatoes grown on the terraces that march up the region’s steep mountain slopes. Women have been selling potatoes here, in much this same way, for generations. This potato market seems a far cry from the world of Walmarts and e-commerce. Yet it illustrates concepts that are important to sustainable communities everywhere. 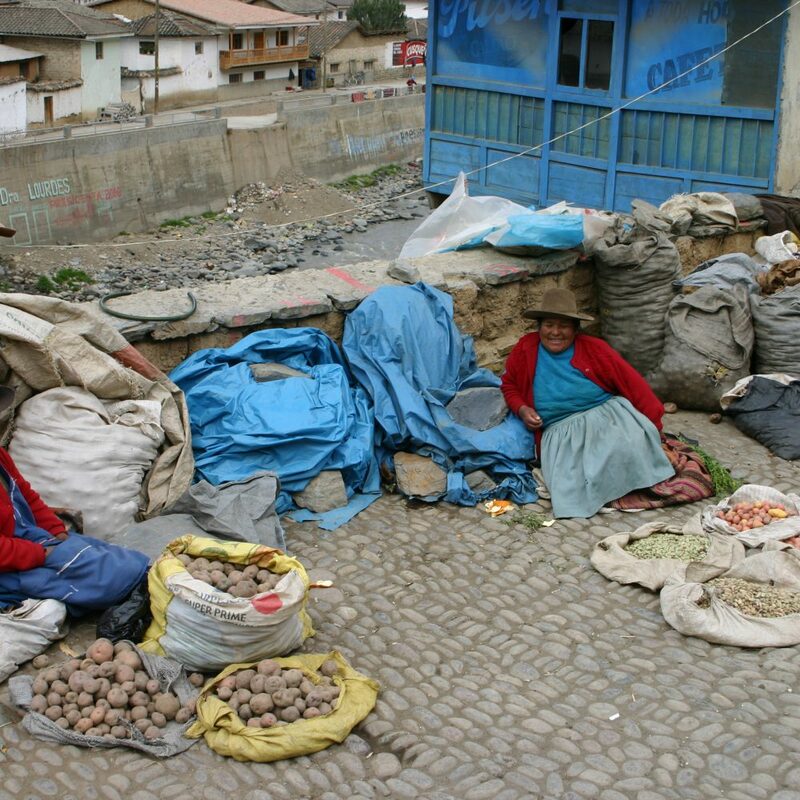 The market sells local products, in this case potato varieties developed over hundreds of years so they thrive in the harsh conditions of the Andes. Products created with local materials or suited to the local climate require fewer inputs such as energy for transporting raw materials or fossil-based pesticides and fertilizers to counteract local growing conditions. So they can be produced with less impact on global resources. These enterprises provide jobs for local people. If the products are also used locally, needs of area residents are met without shipment of finished goods to this market and the related demands on energy resources and the roadway network. An economy of production and consumption locally is thus more sustainable in terms of global resources as well as support for local economies.